Come one, come all to Telus Spark’s newest exhibition. Circus! Science Under the Big Top was opened on Saturday, February 2, inviting Calgarians and visitors alike into the world of performers, puzzles, and amazing acrobatics. 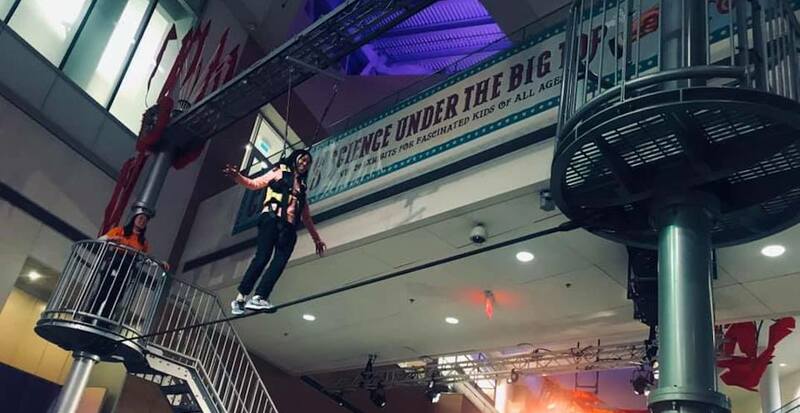 From the physics of the high wire to the science of sword swallowing, attendees will be able to both see the spectacles unfold before their eyes and get a deeper understanding of the science at work behind the daring feats. Over 20 exhibits showcase the excitement of life in the circus, with everything from animal communication to contortionism to the math behind juggling. Circus! Science Under the Big Top will run from February 2 to June 9, giving you the better part of four months to check out what the side-show is all about.